Join us for the 34th Annual Maryland Wine Festival on Saturday, September 16 or Sunday, September 17 at the Carroll County Farm Museum in Westminster, MD! This year will feature over 150 wines from 25 wineries, 45 artisans, and 24 food purveyors. Come to explore, purchase, and enjoy Maryland wine. For more information and tickets, click here! Click here to view the fall/winter 2017 edition of Maryland Wine Press by Custom Media Options! The 29th Annual Governor’s Cup Competition was held on August 13 at The Center Club in Baltimore. Entries must be MD-appellation wines, meaning they’re made from Maryland-grown grapes and other fruit. Congratulations to Big Cork Vineyards, Bordeleau Vineyards & Winery, Boordy Vineyards, Crow Vineyard & Winery, and Elk Run Vineyards for receiving various awards at the 2017 San Francisco International Wine Competition! See below for the press release and click here to view the results. (August 8, 2017; San Francisco, Calif.)—Wine producers from around the world sent their best to San Francisco for the 37th Annual San Francisco International Wine Competition, held June 30 to July 2, 2017 at the Hotel Nikko. Long considered the largest and most influential international wine competition in the nation, this year’s competition received over 4,300 wine entries coming from more than 30 countries. The full results may be found online, at www.sfwinecomp.com. The San Francisco International Wine Competition was overseen by competition director and co-founder Anthony Dias Blue, one of the nation’s most influential wine personalities and editor-in-chief of The Tasting Panel, The SOMM Journal and The Clever Root magazines. All wines were tasted under blind conditions by an all-star judging panel comprised of 58 top industry experts and tastemakers. The panel awarded Bronze, Silver or Gold medals to the best entries, with just 282 wines qualifying for the competition’s highly-prestigious Double-Gold medal. As in prior years, this year’s competition entries continued to mirror national trends. The biggest growth was seen in the rosé category, which brought in 25 percent more entries this year than in 2016, with the Best Rosé award going to Goose Watch Winery’s 2016 Cabernet Franc Rosé. Entries from lesser-known grape varieties continued to increase in both quantity and quality. Petit Manseng received more than double the entries from last year, with Pearmund Cellars’ 2016 Petit Manseng South River Vineyard bottling taking home the Best in Show White award. Mourvèdre also had a strong showing, with the Best in Show Red going to Jeff Rundquist Wines’ 2015 Matar, R, Three Way Vineyard. The 2017 Best in Show Sparkling went to Gloria Ferrer Caves & Vineyards’ 2008 Royal Cuvee, and Best in Show Dessert was awarded to Kopke’s 1967 Colheita Port. Other top awards included Tasting Panel Magazine’s Winery of the Year, which went to Francis Ford Coppola Winery; André Tchelistcheff Winemakers of the Year, which went to Swedish Hill Winery’s Derek Wilber and Zach Pegram; and Winery Portfolio of the Year, which went to Deutsch Family Wines & Spirits. 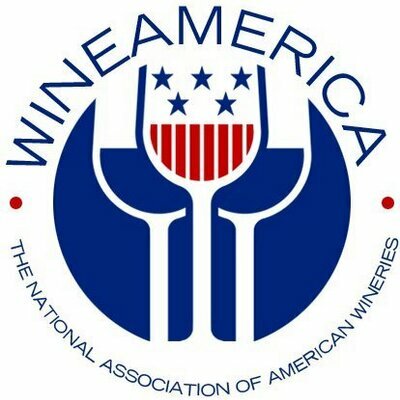 As a response to the growing diversity of submissions, this year the San Francisco International Wine Competition has awarded Best of Nation awards to wineries whose entries represented the best from their countries of origin. This year’s recipients include: Trapiche (Argentina), Wolf Blass Wines (Australia), Cave Geisse (Brazil), Katarzyna Estate (Bulgaria), Inniskillin (Canada), Luis Felipe Edwards (Chile), Vican Rodinné Vinařství (Czech Republic), Champagne Collet (France), Azienda Agricola Durin (Italy), Mad Wine Kft (Hungary), Ippin (Japan), Monte Xanic (Mexico), Mt. Beautiful (New Zealand), Kopke (Portugal), Perdeberg Winery (South Africa), Malaparte (Spain) and Kavaklidere (Turkey). The San Francisco International Wine Competition judging panel was comprised of many of the wine industry’s leading experts, including wine writers Virginie Boone (Wine Enthusiast), Jessie Birschbach-Sheldon (The SOMM Journal) and Leslie Sbrocco (Check, Please! ); winery owners and winemakers such as Heidi Peterson Barrett (La Sirena Winery, Barrett & Barrett); and leading members of the trade such as Tim Marson, MW (Wine.com), Fred Dame, MS (Southern Wine & Spirits), Lars J. Leicht (Banfi Wines) and Kristina Spencer (Cost Plus World Market, Oakland). Sam Dependahl, Jarvis Communications, 310-313-6374, sam@jarviscommunications.com. Ten years ago, the state’s wine industry was a small one that did not have a reputation for making high-quality wines. Today, however, the state boasts dozens of wineries — and some of them are turning out wines on par with the world’s top winemaking regions. The local winemaking community attributes that change to a shift from being primarily events-oriented to a sharpened focus on making high-quality wines, fueled by the adoption of new technologies, research-based vineyard management and a collaborative spirit that inspires both new vineyards and old stalwarts.